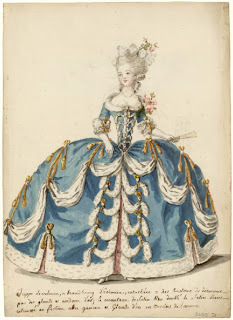 Gilded Garb: Court Dress Craziness! So it's time to start planning a Gala dress, am I right? Kendra of Demode Couture is heading up a court dress group project and because I'm easily led into temptation, that's what I've decided to make. I have no fabric or hoops for it, but when has that ever stopped me?